This will limit shipping traffic and reduce greenhouse gas emissions by one fifth for the fish feed transport. The two companies have selected shipping company Eidsvaag to be responsible for planning and handling of transport, including ships currently under contract. “With this cooperation we will increase the utilization rate of our fleets and significantly reduce our environmental footprint,” commented Fredrik Witte, Managing Director, Cargill Aqua Nutrition, North Sea. 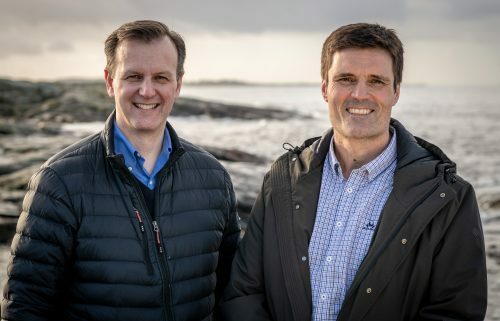 The two companies believe that the collaboration will over time create efficiencies in transportation and increase service levels for Norwegian salmon farmers. “We are creating an efficient system by optimizing capacity over time, giving aquaculture a better distribution model. Load capacity will be better utilized, there will be shorter sailing distances and investment opportunities will increase,” commented Erlend Sødal, Managing Director of Skretting Norway. 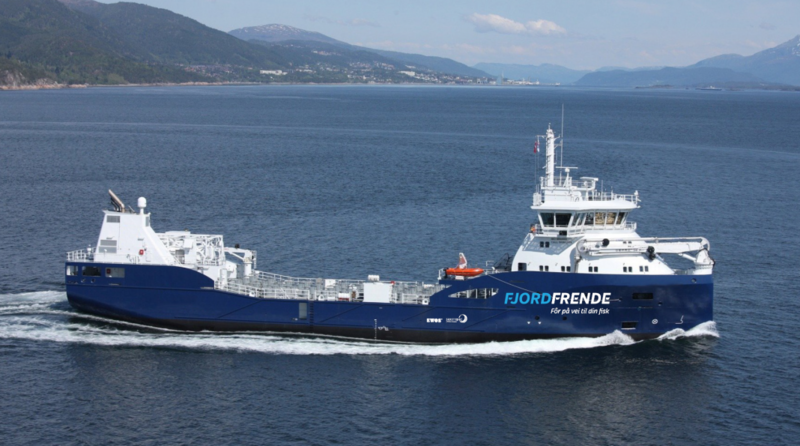 “We have named the collaboration ”Fjordfrende”, which in English means fjord friend, because it is about working together for fjord friendly transport,’”commented Fredrik Witte. In the early years of the cooperation, it may already be possible to reduce the fleet capacity, while increasing the utilization rate of the cargo capacity. This efficiency improvement will reduce emission of harmful greenhouse gases by one fifth per ton of fish feed transported. That equals 15-20 million kg of CO2 per year, which is equivalent to removing 7,500 cars from the roads every year. In future, investments in new feed vessels will contribute to a better adapted and multifunctional feed fleet, while the emissions of greenhouse gases will be reduced. One fleet serving both parties will not only maintain today’s level of service, but also form a better basis for innovation and development. “We will continue to compete on every aspect of our business, including product performance and prices. The difference will be that the feed will be delivered by the same ship operator,” commented the directors. The parties commissioned an independent third party, Tri-Vizor, as a trustee to ensure they continue to operate independently from each other. In addition to the environmental benefits, the background for the collaboration is also to increase efficiency by avoiding parallel sailing. “We have to take action in order to run our business as efficiently as possible, and when we see environmental benefits on top of that, we know that this cooperation will pay off,” commented Sødal. This framework will ensure efficient collaboration, guarantee that it is not possible for competitive-sensitive information to be shared between the companies, and avoid conflict with competition law. The process has also been closely monitored by specialized legal advisors. Tri-Vizor is a Belgian company with expertise from comparable processes, and has participated in similar European projects helping several companies to set up horizontal transportation cooperations. “They are all leaders within ocean transportation. Existing contracts will be maintained and we will continue our good relationships. The new element is that we will have one joint planning center where Eidsvaag will have the complete responsibility for planning and handling the transport. This will ensure the smartest transport that will benefit both the environment and the aquaculture industry,” commented Witte.